The colour of the cement defines the colour of the precast concrete element. The use of different form liners create attractive patterns and surface textures. 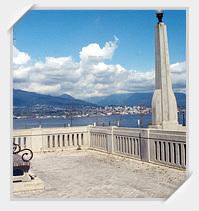 By removing the cement and sand from the concrete surface, a course aggregate becomes exposed and defines the texture and colour of the precast element. 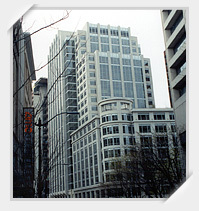 A variety of finishing techniques are available. View FINISHES for more info. 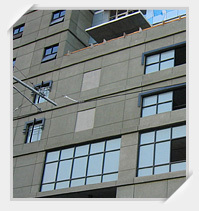 The stone veneers used for precast facing are usually thinner than those used for conventionally set stone. 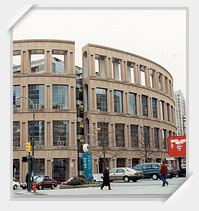 Veneered precast concrete panels allow faster enclosure because each large panel incorporates multiple veneer pieces. Building with brick faced precast concrete panels is faster, cleaner, and more economical solution than field set brick masonry and it provides the same visual effect. 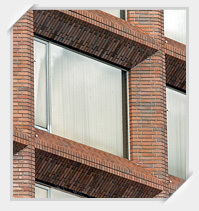 Brick facing can cover the entire exposed panel surface or part of the panel to create accents. Insulated sandwich wall panels consist of two reinforced or prestressed concrete wythes with a layer of rigid insulation between. These panels are energy efficient, long lasting and economical. May include required nosing or warning strips in sandblasted or honed finish. 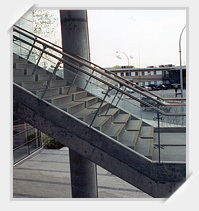 Planters, benches, balustrade panels, balustrades, etc. 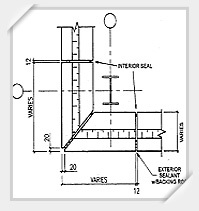 Coping, window sills, cornice, bases, etc. 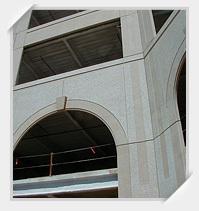 APS manufactures architectural and structural precast concrete products in the following finishes: Smooth as cast, Washed, Sandblasted, Acid Etched, Bushhammered, and Polished.